The Board of Directors plays a prominent role in the Group’s governance. The Board oversees, in strict compliance with standards of ethics and transparency, the interest of the Company and its shareholders, with due regards to our stakeholders. Bringing together individuals with complementary backgrounds and skills, the Board determines the Group’s strategic orientations with as main objective the increase of the Company’s value. Since 2009, the Group complies with the recommendations of the AFEP-MEDEF Corporate Governance Code. Its 15 Directors, including 2 Directors representing the employees and 7 independent Directors meet in average 8 times a year, in sessions directed by the Chairman of the Board, also Chief Executive Officer. The Board, through its Chairman, reports these developments to the Shareholders’ Meeting. Responsible for the proper management of the Company’s bodies, the Chairman must, in this respect, ensure that the Directors are in a position to fulfil their mission. To galvanize this college and to anchor it furthermore into the operational reality of our business, the Group has granted access to its internal social network and holds one Board meeting per year in an operating subsidiary. 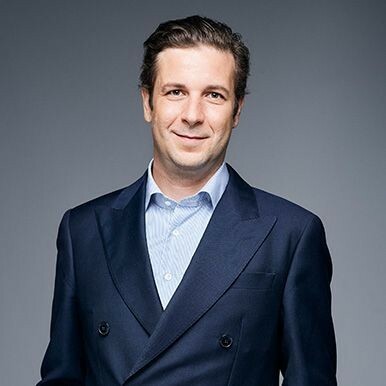 Mr Alexandre Ricard is a graduate of ESCP, the Wharton School of Business (MBA majoring in finance and entrepreneurship) and of the University of Pennsylvania (MA in International Studies). After working for seven years outside the Group, for Accenture (Management and Consulting) and Morgan Stanley (Mergers and Acquisitions Consulting), he joined the Pernod Ricard group in 2003, in the Audit and Development Department at the Headquarters. At the end of 2004, he became the Chief Financial and Administration Officer of Irish Distillers Group, and then CEO of Pernod Ricard Asia Duty Free in September 2006. In July 2008, he was appointed as Chairman and Chief Executive Officer of Irish Distillers Group and became a member of Pernod Ricard’s Executive Committee. In September 2011, he joined the Group General Management as Managing Director, Distribution Network and became a member of the Executive Board. Mr Alexandre Ricard was the permanent representative of Société Paul Ricard company (a member of the Board) from 2 November 2009 until 29 August 2012, at which time he was co-opted as Director of Pernod Ricard and appointed Deputy Chief Executive Officer & Chief Operating Officer. On 11 February 2015, he was then appointed Chairman & CEO of the Group by the Board of Directors. Mr Alexandre Ricard is a grandson of Mr Paul Ricard, the founder of Société Ricard. Patricia Barbizet is a graduate of the École Supérieure de Commerce de Paris (ESCP Europe). She began her career in 1976 in the Treasury Department of Renault Véhicules Industriels, before becoming Chief Financial Officer of Renault Crédit International. 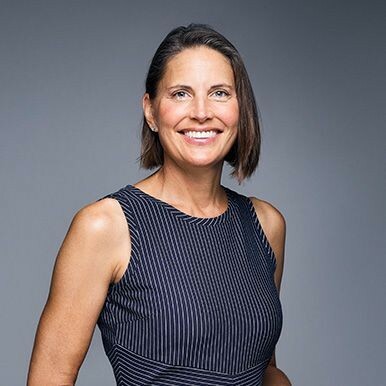 In 1989, she joined the Pinault Group as Chief Financial Officer. From 1992 to 2018, she served as Chief Executive Officer of Artémis, the investment company of the Pinault family. From 2014 to 2016, Ms Barbizet also held the post of CEO & Chairwoman of Christie’s International. In addition, she chaired the Investment Committee of the French national Strategic Investment Fund from 2008 to 2013. She is currently Chairwoman of Temaris et Associés. 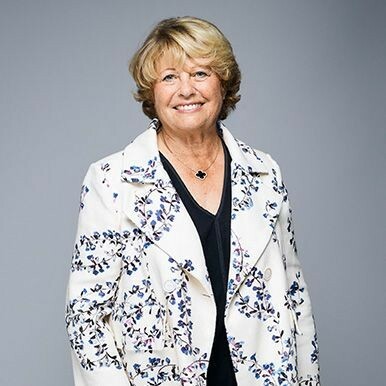 Ms Barbizet also chairs the Board of Directors of the Cité de la Musique – Philharmonie de Paris. She is Chairwoman of Zoé SAS and a Director at Yves Saint Laurent. In April 2018, she was appointed as Chairwoman of the Supervisory Board of Investissements d’Avenir. Ms Nicole Bouton is a graduate of the Institut d’Études Politiques in Paris. From 1970 to 1984, she held the positions of Sub-Manager and then Deputy Manager in the Central Administration function of Crédit Commercial de France. 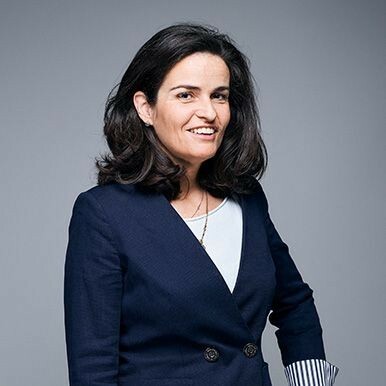 From 1984 to 1996, Ms Nicole Bouton went on to hold the positions of Deputy Manager, Manager and finally Managing Director of Lazard Frères et Cie and Lazard Frères Gestion. 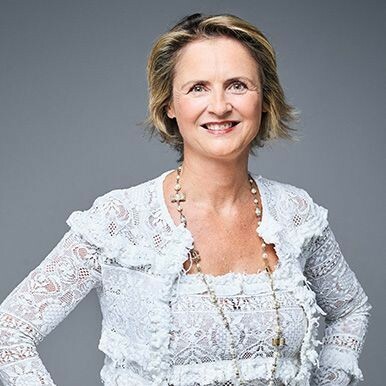 In 1996, she was appointed a member of the Executive Committee of Banque NSMD (ABN AMRO France group) and became Vice-Chairman responsible for Institutional and Bank Clients before being appointed a member of the Management Board in 2000. She also took up the duties of Vice-Chairman of the ABN AMRO France Holding Company the same year. 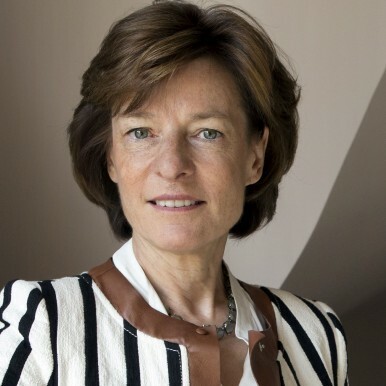 She was also appointed Chairman of the Management Board and then Vice-Chairman of the Supervisory Board of Asset Allocation Advisors and Chairman of the Banque du Phénix, which she merged with Banque NSMD in October 1998. Ms Nicole Bouton left ABN AMRO in 2001, and in 2002, she founded Groupe Financière Centuria, which she chaired until June 2010. In this capacity, she chairs several affiliates including Financière Accréditée, which was acquired in 2006. She is also a Director of several other affiliates of Groupe Financière Centuria. At the end of June 2010, she sold her shares in Centuria and remains Chairman of Financière Accréditée. She was appointed Chairman of the Strategic Committee of Friedland Gestion, an investment management company, alongside two new partners. 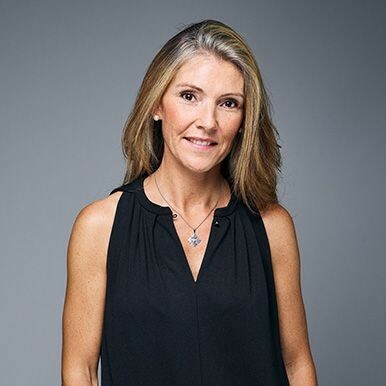 Ms Nicole Bouton has been a Director of Pernod Ricard since 2007. Mr Wolfgang Colberg holds a PhD in Political Science (in addition to qualifications in Business Administration and Business Informatics). He has spent his entire career with the Robert Bosch group and the BSH group. 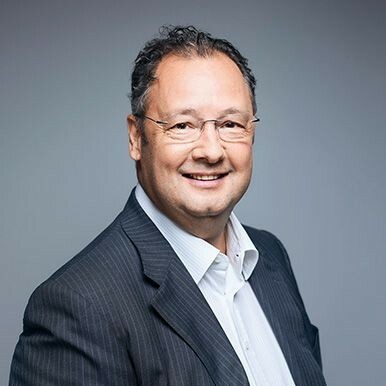 After joining the Robert Bosch group in 1988, he held a post as Business Analyst (Headquarters), and then went on to become Head of Business Administration at the Gottingen production site (1990-1993), then Head of the Business Analyst Team and Economic Planning (Headquarters) (1993-1994), before being appointed as General Manager for the Group’s Turkey and Central Asia affiliate. In 1996, he was appointed Senior Vice-President-Central Purchasing and Logistics (Headquarters). 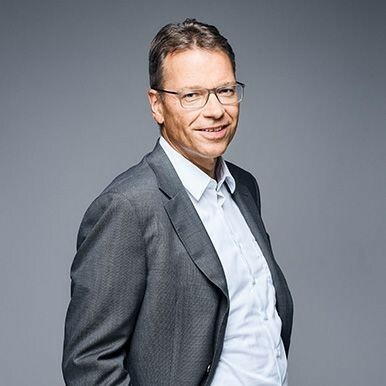 Between 2001 and 2009, Mr Wolfgang Colberg was Chief Financial Officer at BSH Bosch und Siemens Hausgeräte GmbH and a member of the Board of Management. He was then Chief Financial Officer of Evonik Industries AG as well as a member of the Board of Management between 2009 and 2013. Mr Wolfgang Colberg has been an Industrial Partner of CVC Capital Partners since 2013. Mr Wolfgang Colberg has been a Director of Pernod Ricard since 2008. Mr Ian Gallienne has been Managing Director of Groupe Bruxelles Lambert since January 2012. He graduated in Management and Administration, with a major in Finance, from the ESDE Business School in Paris and obtained an MBA from INSEAD in Fontainebleau. From 1998 to 2005, he was Manager of the Rhône Capital LLC private equity funds in New York and London. In 2005, he founded the private equity funds Ergon Capital Partners I, II and III, of which he was Managing Director until 2012. Mr Ian Gallienne has been a Director of Groupe Bruxelles Lambert since 2009, of Imerys since 2010, of SGS since 2013, of Umicore since 2015 and of Adidas since 2016. Mr Ian Gallienne has been a Director of Pernod Ricard since 2012. After graduating from the École Supérieure de Commerce de Lyon, Mr César Giron joined the Pernod Ricard group in 1987 where he has spent his entire career. In 2000, he was appointed CEO of Pernod Ricard Swiss SA before becoming Chairman & CEO of Wyborowa SA in Poland in December 2003. 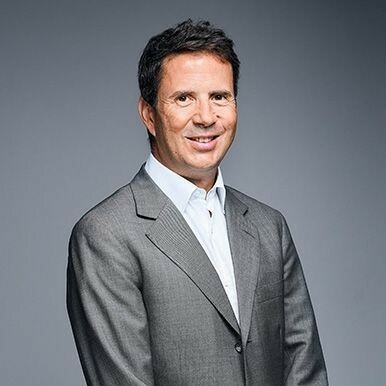 From July 2009, Mr César Giron acted as Chairman & CEO of Pernod, until his appointment, on 1st July 2015, as Chairman & CEO of Société Martell Mumm Perrier-Jouët. Mr César Giron is a member of the Management Board of Société Paul Ricard. Mr César Giron is a grandson of Mr Paul Ricard, the founder of Société Ricard. Mr César Giron has been a Director of Pernod Ricard since 2008. Ms Martina Gonzalez-Gallarza is a graduate of the Jesuit ICADE Business School in Madrid (licenciatura) and holds a PhD in Marketing from the University of Valencia. She worked in the Marketing Department of KP Foods (part of the British United Biscuits group), then pursued her career in the academic world and held various roles in the Faculty of Business Studies at the Universitat Politècnica de València, including Director of the Marketing Department and Head of the International Office. In 2004, she joined the Catholic University of Valencia where she held the position of Dean of the Business Studies Faculty until 2008. In November 2008, Ms Martina Gonzalez-Gallarza joined the Marketing department, where she focused on consumer behaviour and teaches international master programmes (at the IAE in Rennes, at the IGC in Bremen (Germany)) and other professional degree programmes. She was a visiting scholar at Columbia University (New York City), at ESCP and at the University of Sassari (Sardinia, Italy). In addition, Ms Martina Gonzalez-Gallarza is a member of the American Marketing Association, of the Spanish and French marketing associations, as well as a member of the International Association of Scientific Experts In Tourism (AIEST). 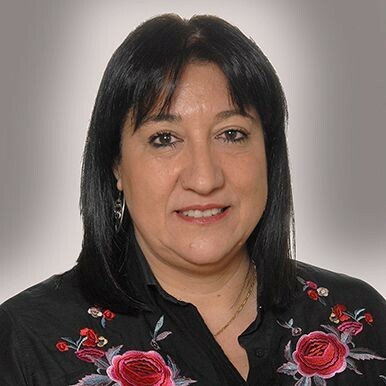 Ms Martina Gonzalez-Gallarza has been a Director of Pernod Ricard since 2012. Ms Anne Lange, a French citizen, is a graduate of the Institut d’Études Politiques in Paris and of the Ecole Nationale d’Administration (ENA). Ms Anne Lange began her career within the office of the Prime Minister as Director of the State-Controlled Broadcasting Office. In 1998, she joined Thomson as Manager of Strategic Planning before being appointed Head of the eBusiness Europe Department in 2000. In 2003, Ms Anne Lange took up the function of General Secretary of the Rights on the Internet Forum, a public body reporting to the office of the Prime Minister. From 2004 to 2014, she went on to successively hold the positions of Director of Public Sector Europe, Executive Director Media and Public Sector Global Operations (in the USA), and Innovation Executive Director within the Internet Business Solution Group division at Cisco. She is currently co-founder and CEO of Mentis, a company which develops applications and platforms in the field of connected objects and collaborates with groups on mobility solutions and management of urban spaces. She is a Director of Orange and the Imprimerie Nationale. Ms Anne Lange has strong expertise in innovation and digital technology which she has developed for the past 20 years, both in the public and private sectors. Mr Pierre Pringuet, a graduate of the École Polytechnique and the École des Mines, started his career in the French civil service. He was an advisor to government minister Michel Rocard (1981–1985), before being given responsibility for the Farming and Food Processing Industries at the Ministry of Agriculture. 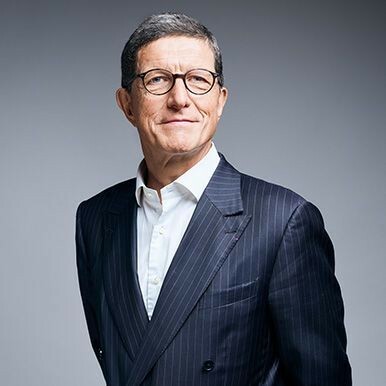 He joined Pernod Ricard in 1987 as Development Director, playing an active role in the Group’s international development and holding the positions of Managing Director of Société pour l’Exportation de Grandes Marques (1987–1996) and then Chairman & CEO of Pernod Ricard Europe (1997–2000). In 2000, he joined Mr Patrick Ricard at the Headquarters as one of Pernod Ricard’s two joint CEOs, together with Richard Burrows. He was appointed Director of Pernod Ricard in 2004 and led the successful acquisition of Allied Domecq in 2005 and its subsequent integration. In December of the same year, he became the Group’s Deputy Chief Executive Officer & Chief Operating Officer. In 2008, Mr Pierre Pringuet carried out the acquisition of Vin&Sprit (V&S) and its brand Absolut Vodka, which completed Pernod Ricard’s international development. 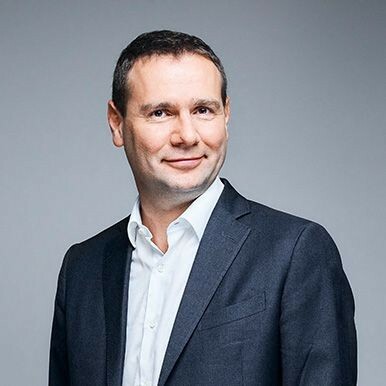 Following the withdrawal of Mr Patrick Ricard from his operational duties, Mr Pierre Pringuet was appointed Chief Executive Officer of Pernod Ricard on 5 November 2008. He performed his duties as CEO until 11 February 2015, date of expiry of his term of office pursuant to the Company’s bylaws. Mr Pierre Pringuet has been Vice-Chairman of the Board of Directors since 29 August 2012. Mr Pierre Pringuet has also been President of the Association Française des Entreprises Privées (AFEP) (French Association of Private Enterprises) since 29 June 2012. He holds the ranks of Knight of the Legion of Honour, Knight of the National Order of Merit and Officer of the Mérite agricole. Mr Paul-Charles Ricard graduated from Euromed Marseille Business School with a Master’s in Management Science, and from Panthéon-Assas Paris 2 University with a “Master’s 2” in Communications (Media Law) and a Master’s in Business Law. He joined Pernod Ricard in 2008 as an Internal Auditor in the Audit and Business Development Department at the Headquarters. In 2010, Mr Paul-Charles Ricard was appointed G.H. Mumm International Brand Manager at Martell Mumm Perrier-Jouët and became Group Marketing Manager in 2014. Mr Paul-Charles Ricard is a grandson of Mr Paul Ricard, the founder of Société Ricard. He has been the permanent representative of Société Paul Ricard (a member of the Board) since 29 August 2012. 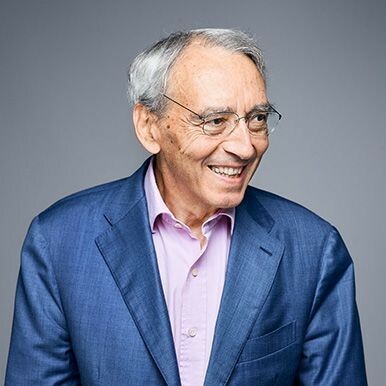 Mr Gilles Samyn holds a Commercial Engineering degree from the Université Libre de Bruxelles (ULB) – Solvay Business School, in which he held academic and scientific roles from 1969 to 2016. He began his professional career as a consultant at the Mouvement Coopératif Belge before joining Groupe Bruxelles Lambert in 1974. In 1983, after one year as an independent advisor, he joined Groupe Frère Bourgeois where he is now Managing Director. Mr Gilles Samyn has been a Director of Pernod Ricard since 2014. Ms Kory Sorenson, a British citizen born in the United States, has made her career in finance, with a focus on capital and risk management. She holds a Master’s degree in Corporate Finance and the International Capital Markets from the Institut d’Études Politiques de Paris, a Master’s degree in Applied Economics from the University of Paris Dauphine and a Bachelor of Arts degree with honours in Political Science and Econometrics from the American University in Washington, D.C. In 2013, she completed the Harvard Business School’s executive education programme, “Making Corporate Boards More Effective”. Ms Kory Sorenson held the position of Managing Director, Head of Insurance Capital Markets at Barclays Capital in London, where her team conducted innovative transactions in capital management, mergers and acquisitions, as well as equity transactions, hybrid capital and risk management for major insurance companies. She previously led the team in charge of the financial markets, specialising in insurance, at Credit Suisse and the team in charge of debt markets for financial institutions in Germany, Austria and the Netherlands at Lehman Brothers. She began her career in investment banking at Morgan Stanley and in finance at Total. Ms Kory Sorenson is a member of Women Corporate Directors (Paris chapter). Ms Kory Sorenson has been a Director of Pernod Ricard since 2015. Ms Veronica Vargas, of Spanish nationality, received a MEng degree in Industrial Engineering from the “Escuela Técnica Superior de Ingenieros” (Seville, Spain) having completed her degree in France at École Centrale Paris. Ms Veronica Vargas started her professional career at the beginning of 2007 at Société Générale Corporate & Investment Banking in Paris as part of the Strategic and Acquisition Finance team. She joined the London team in 2009, where she continues to be involved in advising clients on all aspects related to the optimisation of their capital structure, as well as executing strategic transactions to support the clients’ key business needs, including acquisitions, spin-offs, share buybacks, and other strategic transactions. Ms Veronica Vargas is a great-granddaughter of Mr Paul Ricard and has been a permanent representative of Rigivar SL Company, member of the Supervisory Board of Société Paul Ricard SA since October 2009. Ms Veronica Vargas has been a Director of Pernod Ricard since 2015. Mr. Stéphane Emery (French nationality) graduated from ESCO Paris / Wesford (Ecole supérieure de commerce et de management). He joined Ricard (Paris) in July 1994 as Head of the On Trade Area. He then successively held different positions as On Trade Sales Manager in Bourgogne (from 2000 to 2005), Off Trade Sales Manager in Paris (from 2005 to 2017). He currently is the Head of Brands and Communication of Ricard (in Paris). 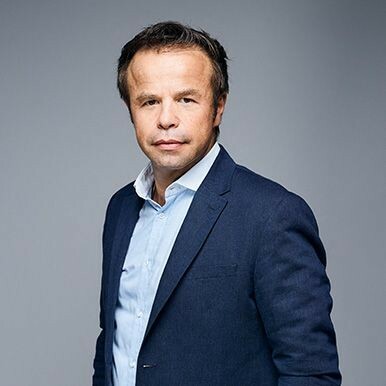 He joined the Board of Directors of Pernod Ricard as Director representing the employees in December 2017, following his nomination by the Group Committee (France). Stéphane Emery has long been involved in the Group as employee representative of Ricard (SIPGR union representative, DP/EC member and EC Secretary prior to being a delegate representative of France at the European Works Council). Mr. Stéphane Emery has also been sitting on the Board of the Ricard Foundation since 2010 as director representing the employees. Four Committees handle subjects in the area for which they have been given responsibility and submit their opinions and recommendations to the Board: the Strategic Committee, the Nominations, Governance and Sustainabilty & Responsibility Committee, the Compensation Committee and the Audit Committee.